Dining has proved to be one of the most important aspects of travelling. No matter how exciting your week-end in Paris was, one innocent breakfast in a shabby snack-bar with no service and cold food might make you hate this city forever, while having a nice dinner in a small cozy family restaurant with a fireplace after spending a day or two on a distant farm somewhere in Missouri, as your car broke down while you were travelling across the country, might leave a bunch of positive emotions and an impressions that this small village with no signs of civilization might actually be the best place on Earth. No wonder restaurants from all around the world are struggling to attract people’s love with any means possible, and while some of the travelers still value good food, others are looking for some special atmosphere and unique experience as the main aspects of a nice place. Here is the list of the world’s most unusual restaurants that have gone so far in their desire to stand out of the crowd that they will hardly leave you indifferent. 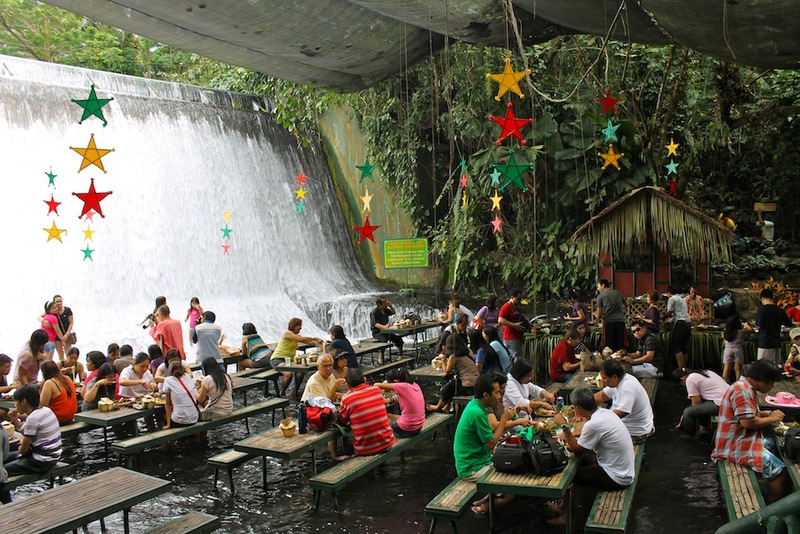 Being the part of a Villa Escudero resort in the city of San Pablo, Waterfall Restaurant is probably the only public place in the world (in civilized society at least) where you can eat, admire the beautiful views around and … wash your feet at the same time. 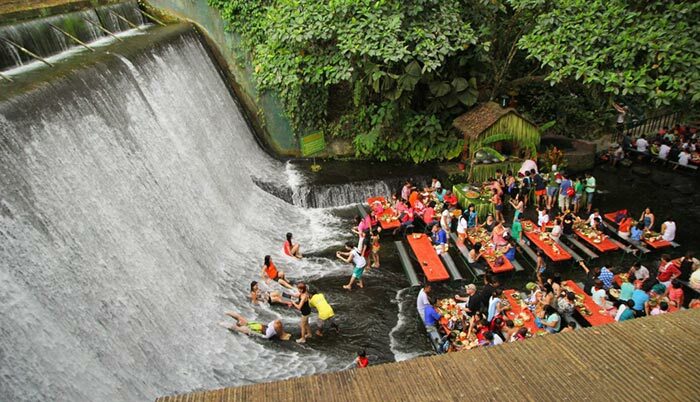 The local Philipino food is being served on bamboo tables at the foot of a real waterfall, so those sitting at the tables closest to the cascading water might take a shower as well. Sounds good for those who like being closer to nature (primitive beach bars or restaurants in the middle of the rainforest will hardly impress anyone), and it is definitely a perfect decision for hot sultry days, which is quite common for these places.